1000.00 sqft. 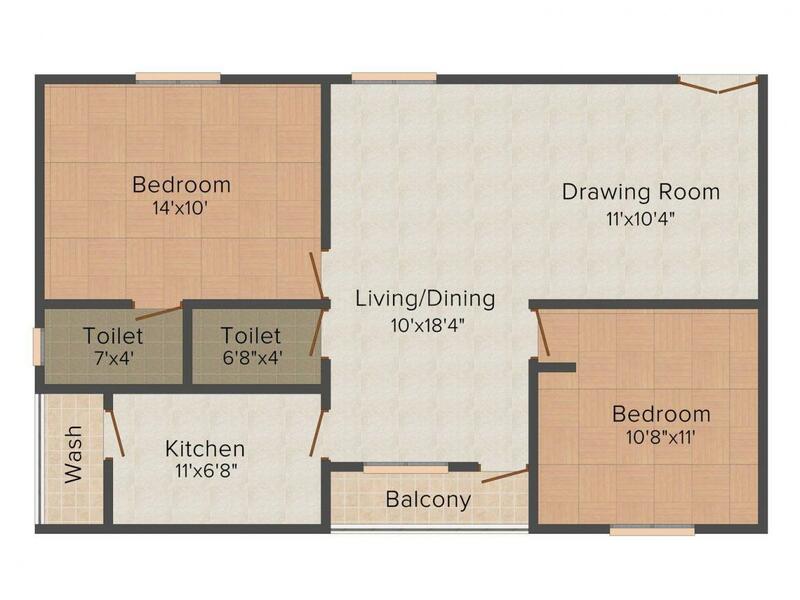 - 1395.00 sqft. If dwelling in a lavish space is your actual dream then Dwaraka Residency is your true wonderland where your dream comes true. Allowing you to enter a new dimension of luxury, this property takes you to a celestial place of living where everything is set accurately to its place to add glam in your life. Here the accommodation is styled to mirror your fantasy. 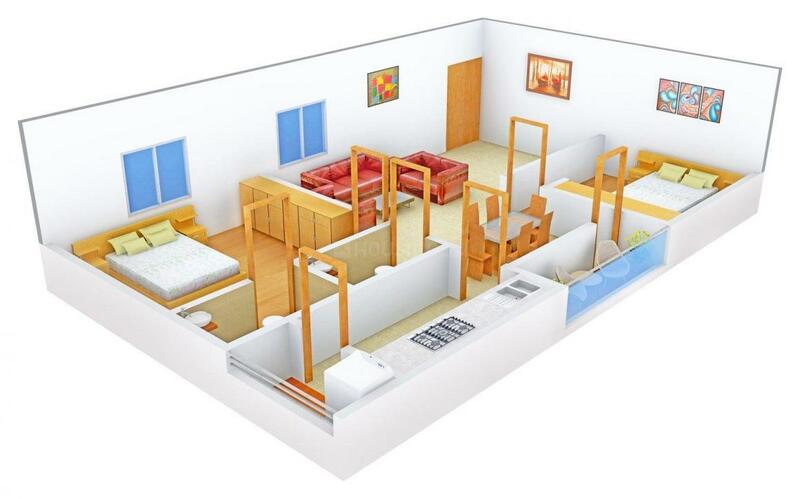 Commodious rooms allows you to take advantage of spaciousness and lets you fit in along with a huge bunch of kith and kins while reveling special occasions. The wide mezzanine is fashioned to let you snap vibrant sun dawn or twilight while sipping a cup of Joe with your dear ones. Get the opportunity to dive into the lap of luxury at Dwaraka Residency. 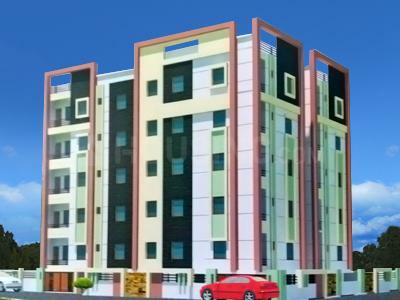 Sainikpuri is one of the most well planned and organized regions of Hyderabad. Initially resided by retired army personnel, this place is now inhabited by civilians as well. Adorned with ample of lush greenery, Sainikpuri is among the most preferred residential areas of the city. Occupied by people from diverse origins, the locality accentuates community living to the maximum. Apart from the clean and systematically numbered roadway system, the area also enjoys proximity to Ammuguda, R.K. Puram and Secunderabad Railway Stations. Mazher, Dammaiguda and Sainikpuri Roads are the major roads connecting this place to other regions. A number of restaurants, theatres, shopping complexes, hospitals, schools and colleges exist here ensuring a smooth and convenient day-to-day life. 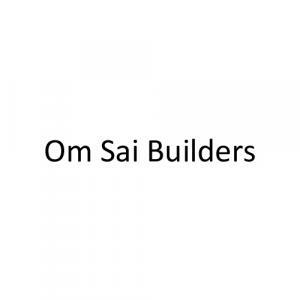 Om Sai Builders is a name for innovation and lavishness. This Property Developer is in the field of Real Estate since a long time and steadily it has marked its niche amongst best Constructors in the city of Hyderabad. The Builder is synonymous to success and excellence. Their philosophy of the firm is quiet simple: reliability and quality of service coupled with the use of best resources available. The Company's success in a nutshell can be uttered as an untiring commitment to providing very high quality of work in the ventures it undertakes.